His Royal Highness The Prince of Wales visited The Coptic Orthodox Church Centre in the United Kingdom on 17 December 2013 after expressing concern about the current challenges facing Christians in some Middle-Eastern nations, and to meet members of those communities resident in the United Kingdom. His Royal Highness was accompanied by His Royal Highness Prince Ghazi bin Muhammad of Jordan. During this historic visit, HRH The Prince of Wales and HRH Prince Ghazi were received at The Centre by His Grace Bishop Angaelos, General Bishop of the Coptic Orthodox Church in the United Kingdom, with numerous official, government, ecumenical, and interreligious guests, along with members of the Coptic Orthodox clergy and community. 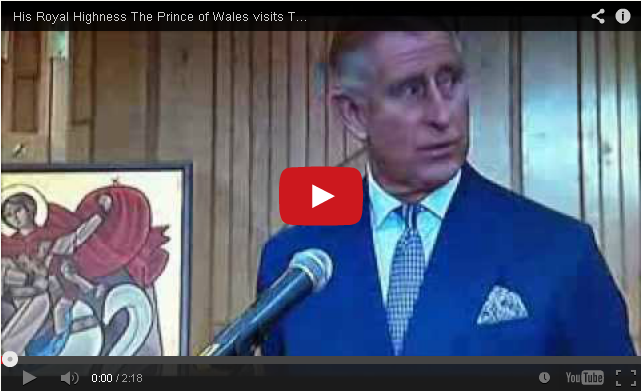 0 Comment(s) to the "Visit of HRH the Prince of Wales coverage on BBC TV Look East"